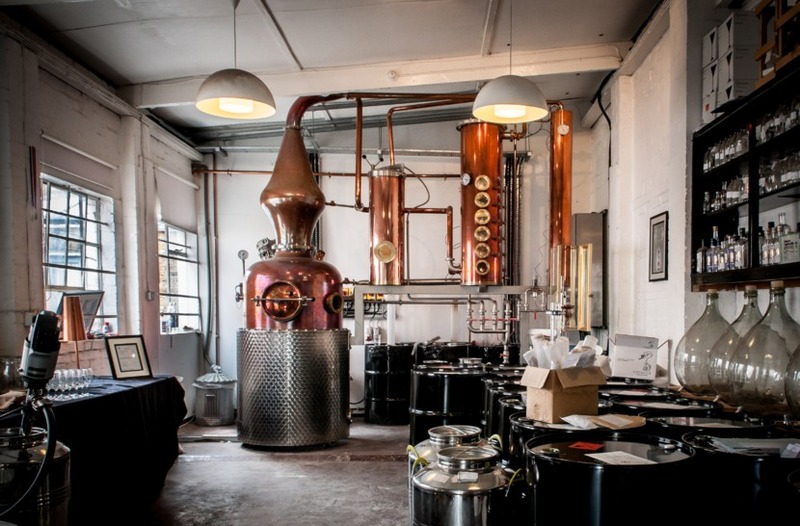 Who knew that on a small street in the backwaters of Hammersmith, West London, one could find an authentic gin distillery? Not just any old distillery… Sipsmith Independent Distillers, the first copper distillery in London to be granted a license in 200 years. The clever guys who started Sipsmith came up with the novel idea of offering tours of their somewhat minuscule premises. Lo and behold, gin aficionados and the curious signed up (me included). One of the unexpected benefits of the tour was a generous G&T handed to you as you crossed the threshold. More libations were in store for the 25 of us packed into the converted garage housing the copper stills, aptly named Prudence and Patience, responsible for the distillation process. Prudence, the copper distillation unit designed by Germany’s oldest distillery producers, Christian Carl. Distilling gin involves carefully balancing a whole host of aromatic botanicals. Sipsmith is one of the only gins in the world made using the traditional ‘one-shot’ method, rather than as a concentrate. As a result the process takes time and is produced in small batches. 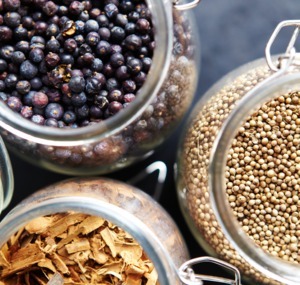 selected botanicals from around the world are used to make London Dry Gin. If you are not familiar with Macedonian juniper berries, Bulgarian coriander seed, French angelica root, Spanish liquorice root, Italian orris root, Spanish ground almond, Chinese cassia bark, Madagascan cinnamon, Sevillian orange peel and Spanish lemon peel, you will be, after the tour. These are all the ingredients that are part of the distillation process when making London Dry Gin. In addition to Gin, Vodka is on the Sipsmith menu. Damson and Barley vodka are distilled with the same care and attention as other members of the Sipsmith family. The warm plummy notes of the Damson fruit combine with the vodka for an extraordinarily full-bodied flavour. A smooth buttery spirit with a light, nutty finish. Tours get booked up very quickly. If you are interested in taking part in a tour you might be lucky enough to secure a place in April. Otherwise you will have to wait until the beginning of the summer. The brief hiatus and tours will be put on hold temporarily because Sipsmith has outgrown its current location and will be moving to larger premises. Sipsmith is a brand to watch! It was recently voted No.4 in the World’s 50 Best Bars Top Trending Gin. Don’t take my word for it. Ask for it the next time you order a Martini! You make it sound delicious, I still prefer whisky!